Uniacke Designs Jewelry creator, Jennifer Miller, named the company in honour of her family ancestry. The name Uniacke, meaning "the only one" originated in Ireland which can be traced back to the 11th century. A resident of Victoria, British Columbia, Miller uses .925 sterling silver, 22kt vermeil gold, 18kt gold, copper and brass along with a brilliant array of shimmering semi-precious gemstones, luminous freshwater pearls and other materials reflecting her love of colour. Miller uses proven silversmithing techniques creating form and texture to produce her one-of-a-kind pieces. Uniacke Designs jewelry is created for women who love to express their own unique sense of fashion and individuality. HILLS TO SHORE ARTIST TOUR 2017. DATES: Saturday, May 13th and Sunday, May 14th. PLACE: 2875 Tudor Ave., Victoria, B.C. Saturday's 9 a.m. - 1:00 p.m. June 10th through October, except Labour Day weekend. 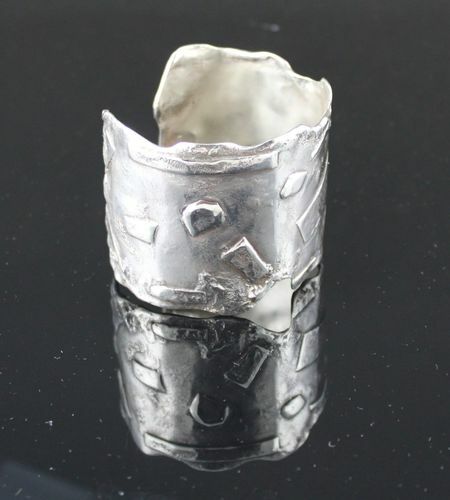 Shown above: Uniacke Designs one-of-a-kind .925 sterling silver wide cuff bracelet featuring reticulation with fused elements. Burnished edges further highlights this statement cuff. 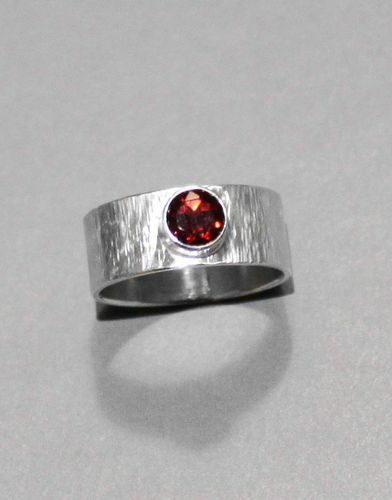 Shown right: Uniacke Designs .925 sterling silver ring features a wide textured band with a round, facetted garnet semi-precious gemstone. 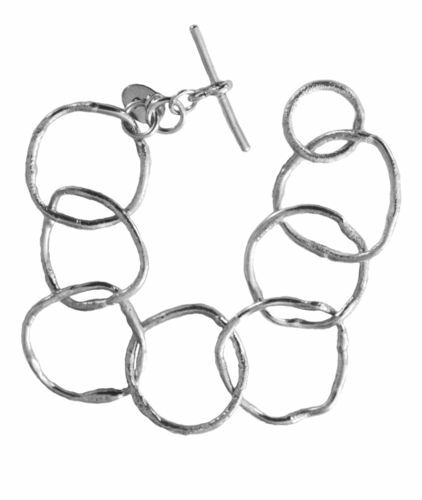 Show left: .925 Sterling silver textured, large chain bracelet. Perfect for every day wear or wearing for a high end function.